This is a bit of a siding off the main line of the site at the moment, more of a head shunt, in fact. And, if what gets put in headshunts on our heritage railways is anything to go by, it’s a bit of a dumping ground for links with railway websites in places entirely unconnected to Paddington, Milford Haven, Birkenhead and Penzance! One day, it may have its own website but for now, just a place to browse the planet’s steam and places of rail interest. Steam Locomotive.info. Almost certainly the most comprehensive guide to preserved steam on the planet. 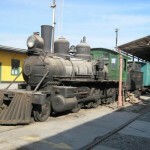 You can pretty much find details and photos of any loco on any continent and its condition. Where is the best steam in the USA? Well, early days in finding out but here are some links to what are, I think, the top steam heritage railways there. The Texas State Railroad is a 25 mile run behind steam that runs through the scenic piney woods and hardwood creek bottoms of East Texas amidst a backdrop of rolling hills, nature and wildlife. A variety of iconic locomotives from early C 2oth 4-6-0s to a 220 tonne 2-10-4 of 1927. 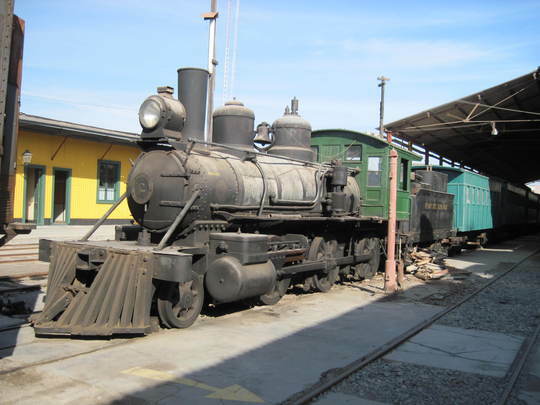 The Cumbres & Toltec RR is the classic 3′ 6″ narrow gauge railway, a remnant of the Denver & Rio Grande Central network, that runs along the border between Colorado and New Mexico. Great big 2-8-0s in sun and snow in the most incredible scenery make this one for anyone’s bucket list! The Union Pacific RR prides itself on keeping its steam heritage alive and has two monster locomotives as its ambassadors (what an enlightened idea!). This link is to its steam site.